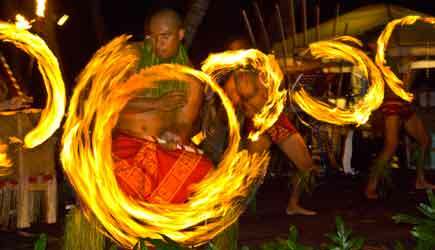 Spectacular Luau shows and dinner! 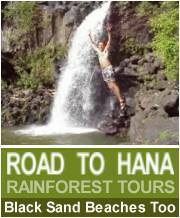 The ONLY way to see Maui's spectacular "Wall of Tears"
Our reservations service is FREE! There are no hidden surcharges ... no gimmicks. in fact, many of our tour prices are discounted saving you money compared to the list price charged by hotels. 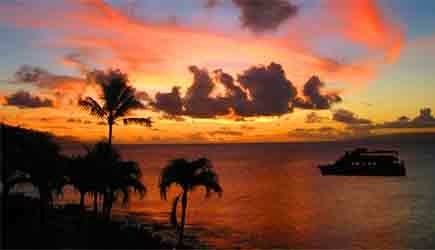 Our agents are all long-term Hawaii residents who are knowledgable and experienced full-time travel professionals. And they are all salaried. Other ticket agencies have salespeople who work on a commission. Our staff are paid to provide excellent customer service ... not to sell things or to be "pushy." We actually answer the phone when it rings. As basic as that sounds, many other companies sell tours online but don't provide staff to answer your call. We DO ... from 6am to 6pm Hawaiian time seven days a week. We truly care about our clients and their vacation experiences. We look over itineraries to make sure there is ample time between your events. We lose sleep at night if something goes wrong. 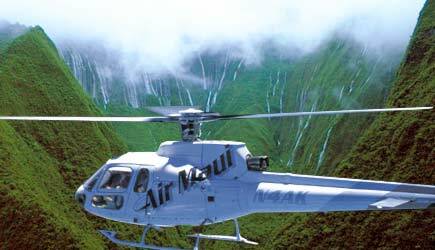 Our tour operators consider us to be the most accurate, professional reservations service in Hawaii. 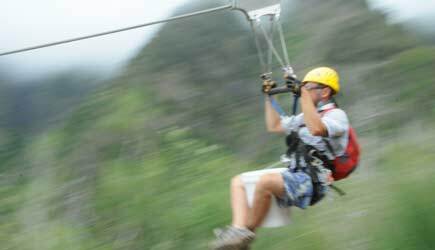 Gift Certificates - Give the gift of fun! 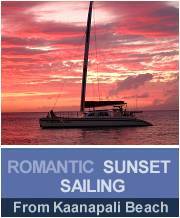 Know someone planning a honeymoon to Hawaii? Maybe a coworker in your office is coming here on vacation? Our gift certificates are a perfect choice! What Our Clients Have To Say About Us - Harold D. from Laurel MD recently wrote us ... "I just want to say a big THANK YOU for all your advice and help with my parents' big 50th anniversary trip. You gave me straight advice, unvarnished. It was right on target, and my parents enjoyed the hotel you recommended, and the activities we booked with you. You rock!" Read more of what our clients think of our reservations service on our testimonials page. Coming to Maui anytime in the next 6 months? Now is the time to reserve great seats at a luau! We specialize in helping our clients get front table luau seats. The longer you wait the further back you will be from the stage, so check out our luau page; Reserve now and pay later! The Lanai Explorer with Landing offers great snorkeling and dolphin searching along the Lanai coastline; then you get to spend 3 hours on the island exploring beautiful beaches and tidepools. See our Lanai page for details. Every tour page on our website has this cruise ship symbol and a short paragraph summarizing whether or not that particular tour will work with your cruise ship itinerary, and whether transportation is included with the tour. Some activities are walking distance from the dock. Others pick up at the dock. Some require a short cab ride. Some will require a rental car which we can help you arrange. Thos details will be found here. Our agency assists thousands of NCL Pride of America clients each year. We live here and have local knowledge. We provide excellent service, and save you $$$ compared to the rates the ship charges. We know this ship's itinerary like the back of our hand. We know what works and what doesn't work and we've never had a client of ours miss their ship's departure for its next destination while booked on a shore excursion through our agency. My name is Kevin Ditamore ... 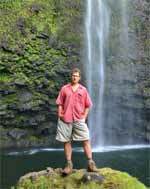 I founded AdventureMaui.com in 2000 as a way for Maui vacationers to plan their tours and activities in advance of their arrival in Hawaii so that they could spend less time standing in line at a concierge desk and more time actually out and about enjoying their vacation. We still encourage people to plan ahead, but with today's technology we are finding more and more of our clients are making reservations after they arrive on Maui using a smart phone or Ipad. Why wait in line in the lobby to talk to a concierge when you can relax on your lanai overlooking the ocean and browse tour options online? Well either way ... if you are planning your vacation well in advance of your arrival, or if you are looking for something to do later this week ... we are here to help! Every tour page on our website has an "Activity Tips" section that looks like this at the bottom of the page. Clients tell us it's a feature of our website they most appreciate! In many categories there are multiple tour options and this section helps you sort out and determine which is the best choice for you. Our agency is famous for recommending events that we LIKE the best ... not the events that pay us the most money for promoting them. 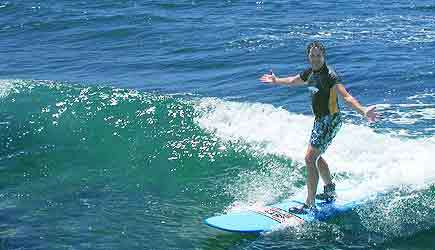 Here at the home page I decided to share some tips for making the most of your Hawaii vacation. If you follow my advice you'll be glad you did. If you don't follow my advice you'll wish you did! 1. Wear sunscreen. I cannot tell you how many vacations I've seen ruined by people who looked as pink as a roasted luau pig one day after their arrival. You do this and you'll be miserable and miss out on all the fun. And the best suncreen you can wear while driving is a roof on your car! We aren't big on convertibles. I know everybody loves the romantic image of the wind blowing through your hair as you drive around in paradise, but the reality is it's just TOO MUCH wind and sun. And if you don't have much hair left on your head, you DEFINITELY want a roof on your car. 2. Buy a good pair of polarizing sunglasses. We recommend Maui Jims brand for obvious reasons, but just make sure the sunglasses you bring with you on vacation are polarized. What that means is they will reduce the glare on surfaces such as glass and water, even the shiny surface of the leaves on trees. Your world will be more vivid and colorful and you'll see reef that you would miss if your sunglasses don't have this feature. 3. Spend less money on your hotel room and more money on tours and activities. OK since we are a reservations service for tours and activities (and not hotel rooms) we might be a little biased on this one. But the reality is most vacationers spend the majority of their waking hours outside of their hotel room. You can't really appreciate that $600 a night suite when you are asleep with your eyes closed, can you? And you came SO far on this vacation ... do you really want to spend ALL your time lounging by the pool? Get out there and see the island and experience everything Maui has to offer! 4. Do not get suckered into attending a timeshare presentation. Maui has little "hole in the wall" booths that tease you with signs and ads for $19 luau tickets and 2-for-1 snorkel tours. In order to get their "deals" you have to attend a "friendly, informative 90 minute vacation ownership presentation." The fine print says that the whole thing can take up to five hours! 90 minutes is just the length of time they talk before they starting twisting your arm. I know everybody says "I have no intention of buying." That doesn't matter. The reality is 1 out of 3 people who attend a timeshare presentation get talked into buying. It's like playing Russian Roulette with two bullets in the gun. The odds are not in your favor. If you DO take their offer that $19 luau may cost you tens of thousands of dollars! It will be the most expensive pig you've ever eaten. 5. Plan ahead. There are so many reasons to reserve your tours prior to arriving in Hawaii. It helps build anticipation for your vacation. You actually lengthen the time of your vacation experience by researching tours while you are still stting at your desk at home (or at work ... haha). Many of the best tours sell out a week or more in advance. And how long is your vacation? A week you say??? Hmmmmmmm. Some events prioritize seating based upon the date the reservation was made. The earlier you reserve, the better your seats will be. If you reserve your tours before you arrive, you will maximize your vacation time. Spend more time enjoying Maui and less time sorting through brochures sprawled out on the bed at your condo. By planning ahead with us, you can arrange all your tours at one place. One phone number to call to make reservations, change, cancel, move dates around, etc. Our reservations service is FREE ... there are no no hidden ticketing fees or surcharges ... no gimmicks. In fact, in many cases, we SAVE you money compared to the list price that you would pay from a hotel concierge. Let us help you make this vacation to Maui a memorable one! We look forward to assisting you in any way we can! And if you are visiting other Hawaiian islands, we can help you there too! 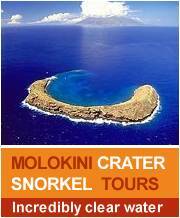 We have agents throughout Hawaii and reserve tours statewide!